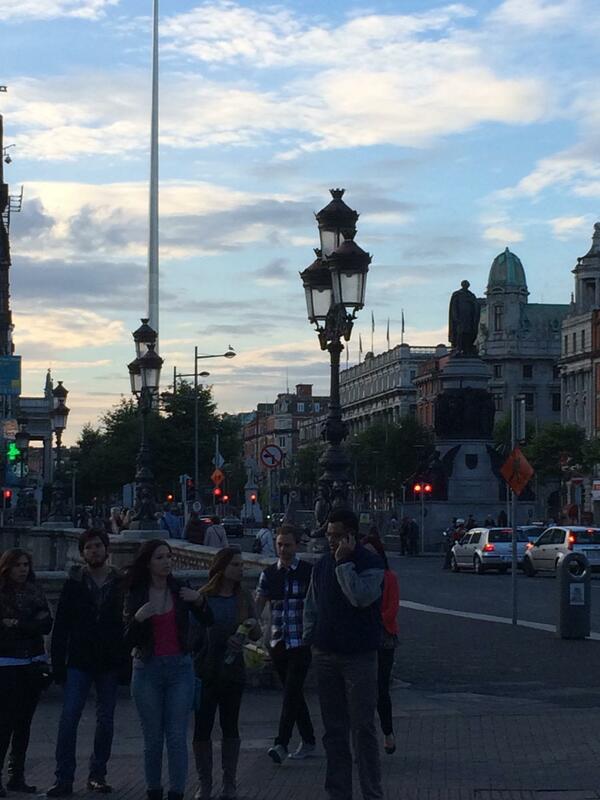 We arrived back in Dublin to complete the tour. 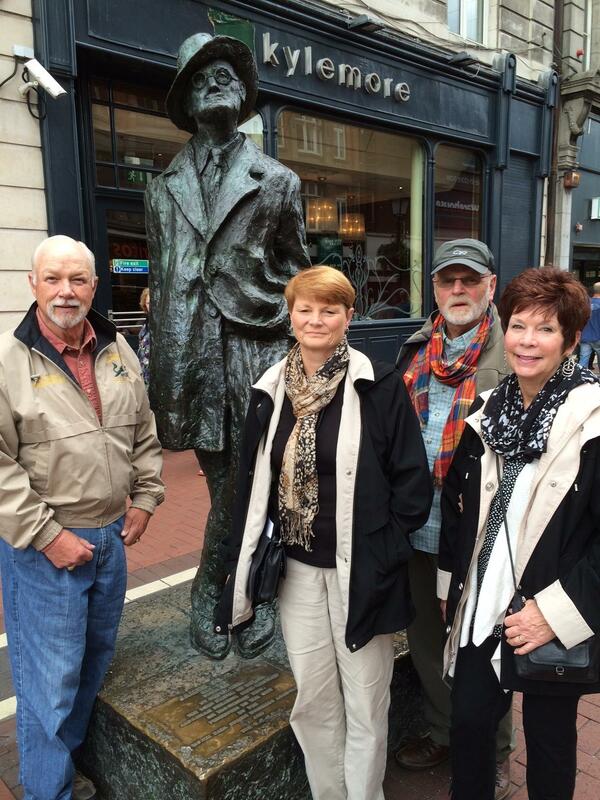 Here with our old friend James Joyce. Dublin, Ireland. On the IRELAND Tour. June 11, 2014. 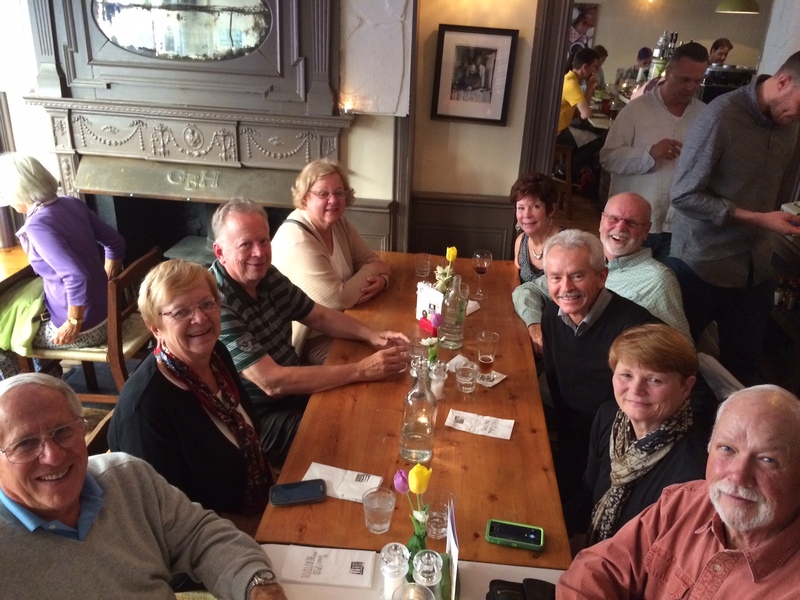 At dinner in Gallaghers Boxty House. Excellent food and service. Dublin, Ireland. On the IRELAND Tour. June 11, 2014. 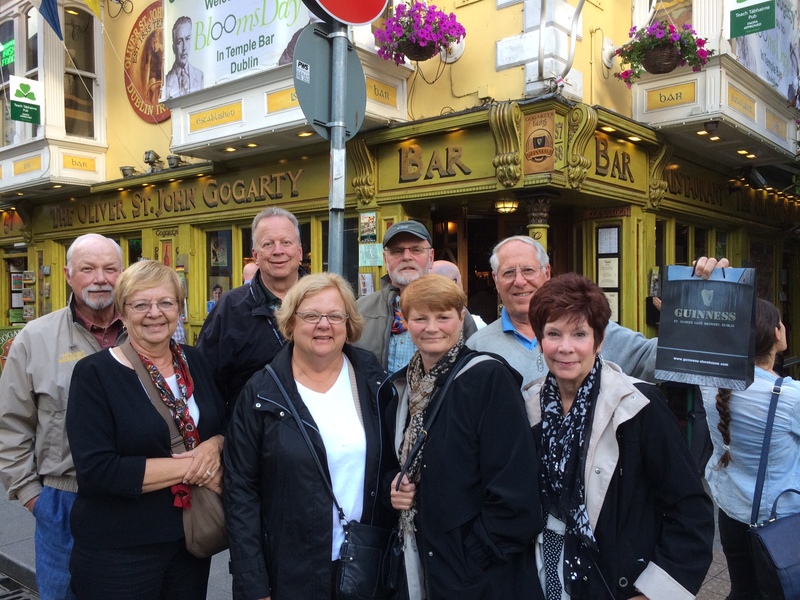 After dinner in the Temple Bar quarter. Dublin, Ireland. On the IRELAND Tour. June 11, 2014. O’Connell Street and the Millennium Tower at sunset. Dublin, Ireland. On the IRELAND Tour. June 11, 2014. 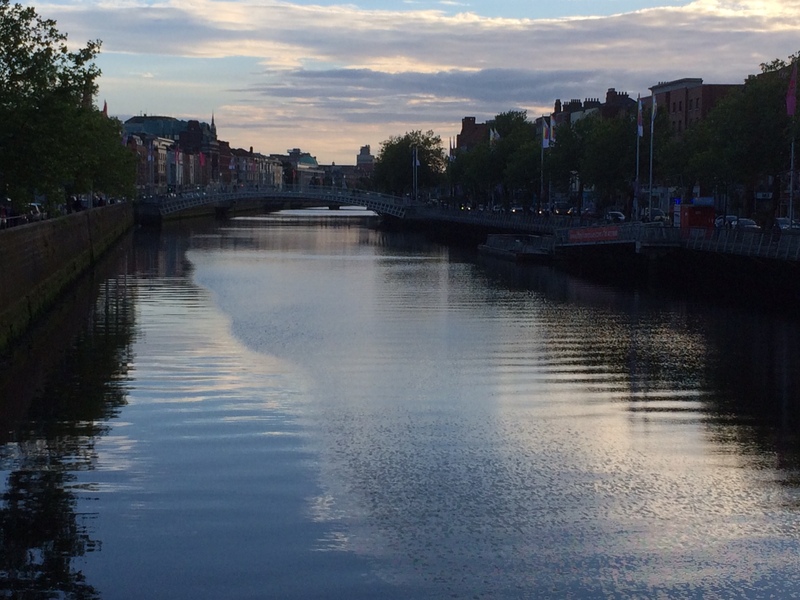 The River Liffey at sunset. Dublin, Ireland. On the IRELAND Tour. June 11, 2014. 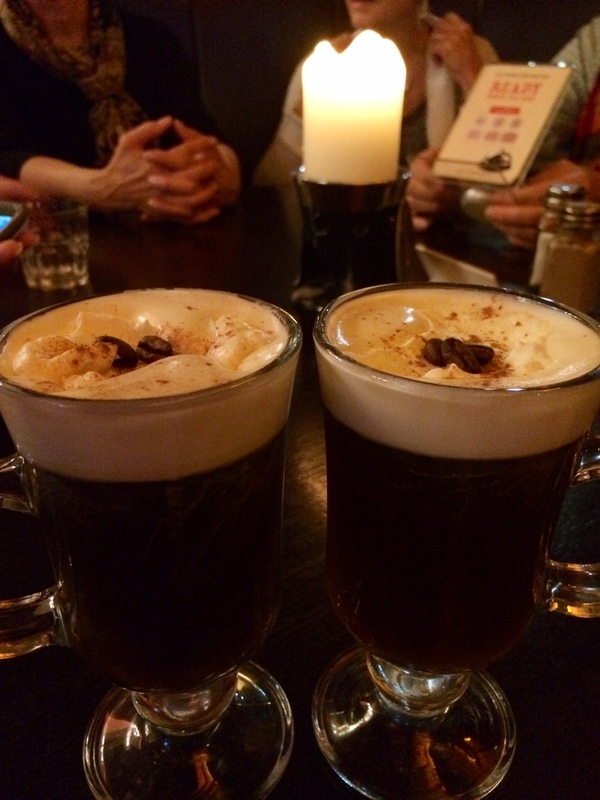 Two Irish Coffees, a perfect finish for our tour of the Emerald Isle. Here at Murray’s Pub on O’Connell Street. Dublin, Ireland. On the IRELAND Tour. June 11, 2014. 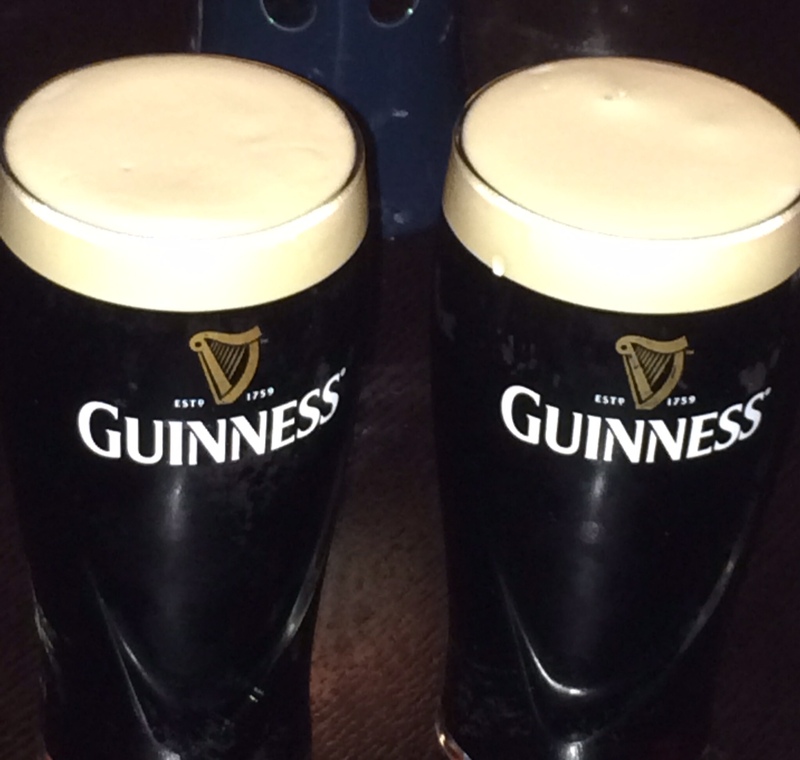 A second fitting finish to our trip around the Emerald Isle, two perfect Guinnesses. Dublin, Ireland. On the IRELAND Tour. June 11, 2014. 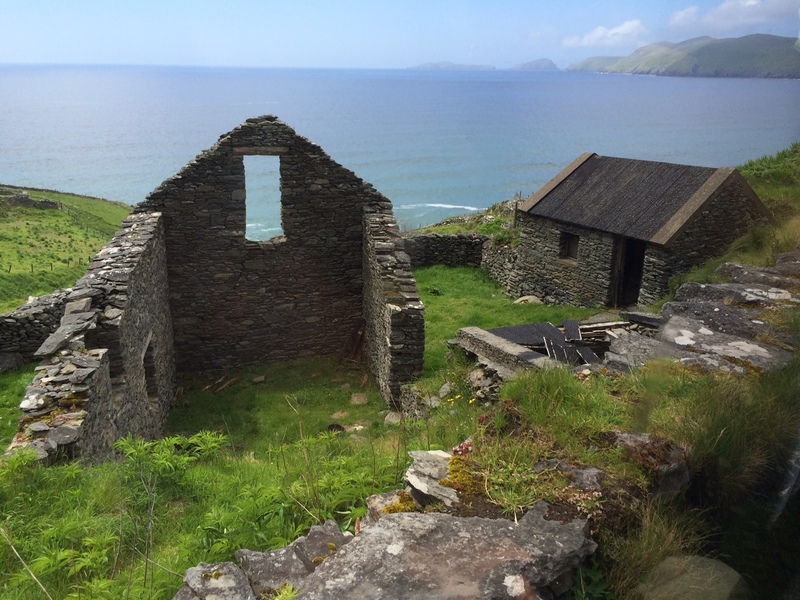 Ancient stone houses on the Dingle Peninsula. On the IRELAND Tour. June 10, 2014. 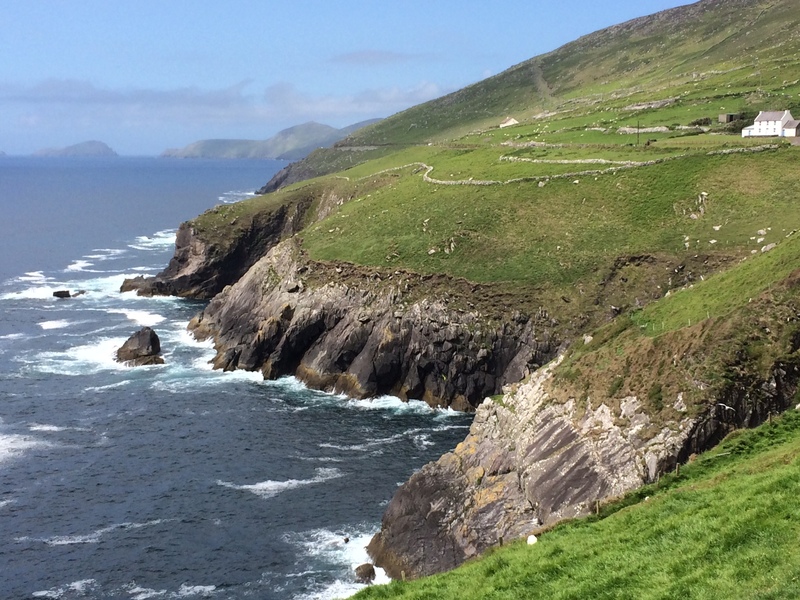 The wild Atlantic Ocean along the Dingle Peninsula. On the IRELAND Tour. June 10, 2014. 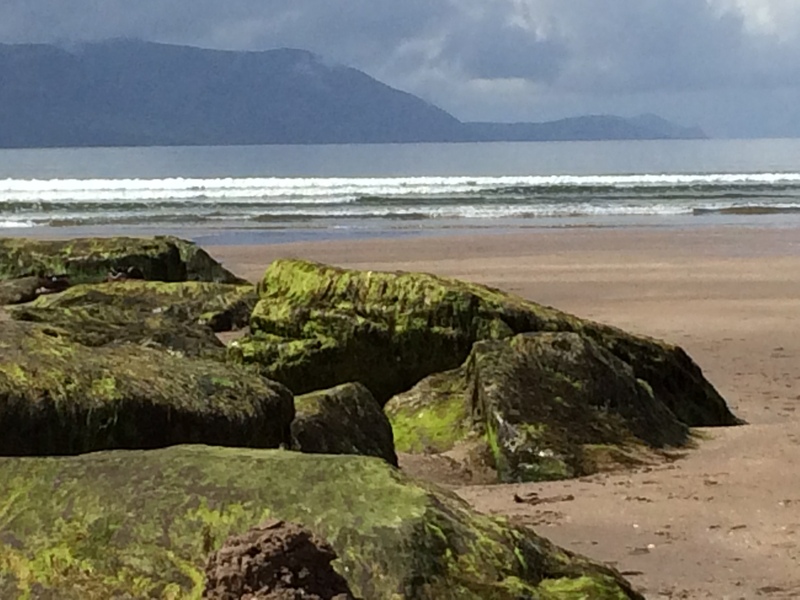 The day begins on Inch Beach on the Dingle Peninsula, in far southwest Ireland. On the IRELAND Tour. June 10, 2014.